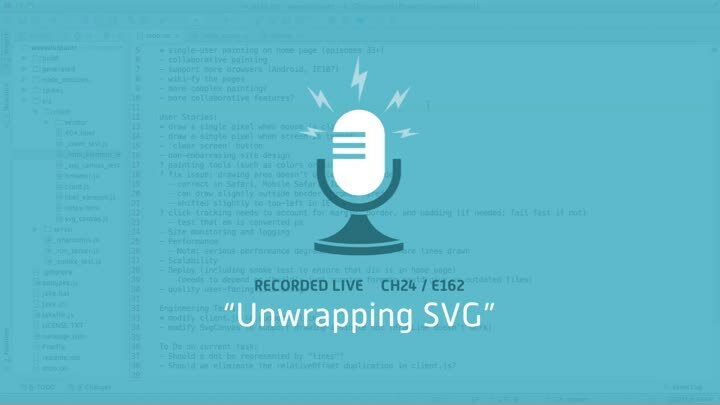 How do you draw a dot with SVG? It’d be nice if our code could keep using the path-based approach we’re already using. But when we draw a line that starts and ends at the same point, nothing shows up on the screen. In this episode, we figure out a tricky solution, then start figuring out how to document and test it.